38 Weeks – Merry Christmas!! I’m having Braxton Hicks contractions pretty regularly, as well as random shooting pains/cramps in my upper inner thighs (weird – has anyone else experienced this?). Other than that, I’m doing great, and little man isn’t showing any indications of wanting to join us quite yet. That’s okay though – I’m trying to soak in these last few moments with him in my belly, and enjoy this holiday with my in-laws around. Happy Christmas! 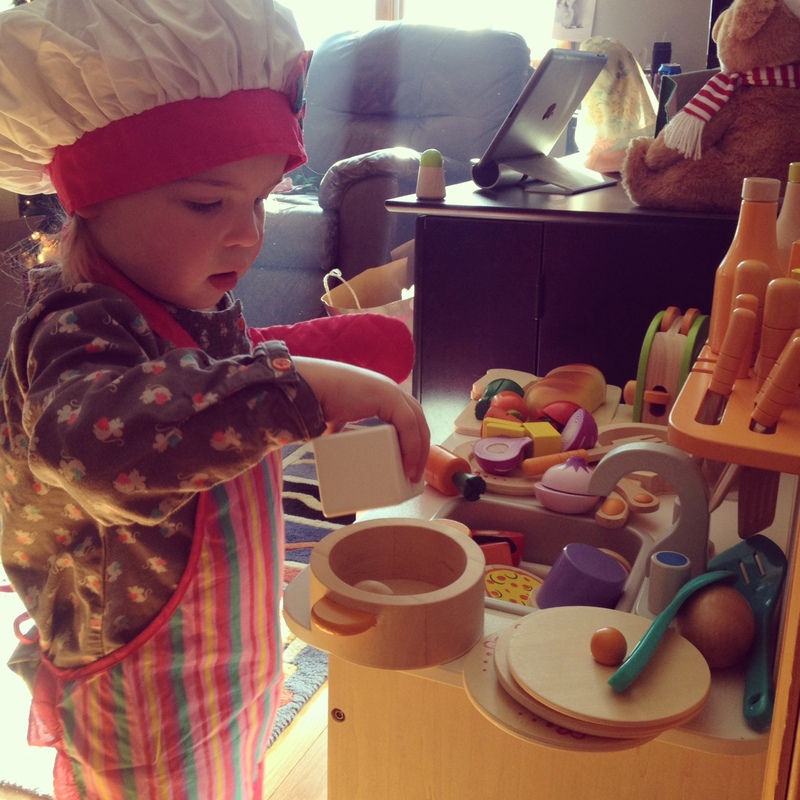 Love her little kitchen. Love Stella’s new kitchen and all her food! 🙂 So fun! You are still looking fantastic. Can’t wait for the little guy to arrive… ANY DAY NOW!!! so excited for your new addition!!! What a beautiful belly! You are SO CLOSE!!! !